August is that time of year when school buses are back in route, and classrooms are full once again. Along with reading, writing and arithmetic, get your kids excited about science! This is a great time in history for educating kids about science and technology with so many tools available. 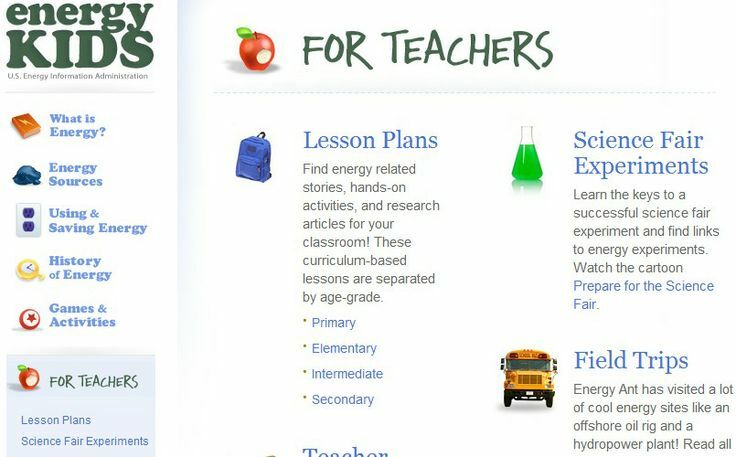 Sites like ENERGY STAR KIDS and Energy Kids are full of interactive pages and learning activites that kids will forget they are actually learning things. ENERGY STAR has an educational site for kids to get involved in all things energy and science called ENERGY STAR KIDS. It's full of activites that are both interactive and interesting. Find out how to make your bedroom more energy efficient by clicking on items such as a TV or guitar. Kids can find out ways to be more conscious of the environment. Broaden their vocabulary with "Word Bank" tab for meaning of scientific words such as Carbon Dioxide. There's a section for teachers that give lesson plans and ideas for K-12. The "Fun Facts" tab is interactive and full of easy-to-learn facts on energy. The U.S. Energy Information Administration has a website that is full of educational tools for kids of all ages. Parents and teachers will find this page useful in ways to get kids interested in science. This site has games and activities such as puzzles and science experiments, facts and history on energy, how to use and save energy and more. There's a page for teachers that has energy calculators for easily converting one energy unit to another. The graphics on this website are fun and always in theme with the different seasons. Older kids will have a periodic table of elements at their fingertips and calculators for all the types of energy used in the United States. Our favorite part of this website is the interactive field trips you can take! BrainPOP Science is a bit more complex and more educator-focused. BrainPOP is geared toward upper elementary and middle schoolers focusing on STEM, Social Studies, English, Art and Music, and Health. BrainPOP Jr. is for K-3 and focuses on STEM, Social Studies, Reading/Writing, Health and Arts. Learning tools include videos, interactive tools and quizzes. Science section includes a variety of topics such as Weather, Energy, Space and Earth System.